The Pakenham High School HSC Class of 1978. 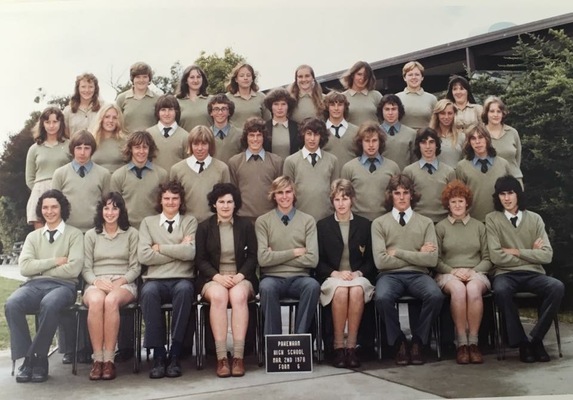 If you were in Form 6 at Pakenham High School in 1978 and are in this photo, or if you were part of the year level in the preceding years 1973-77, you are warmly invited to attend the 40 Year Reunion for the Class of 78, to be held on Sunday 28 October. Event organiser Liz Markham (nee Downey) has been busy tracking down former students all year. She has been able to locate most of the people pictured, with the exception of Gary McPhee (far right, second front row), Daryl Upton (far left, front row) and Joanne Hill (fourth from the left, front row). She is keen to hear from these former class mates, as well as anyone else who started at Pakenham High School in Form 1 in 1973 or who joined the group in the years up to 1978. She is particularly excited that two exchange students from the US are making the trip to attend the reunion, Mark La Bonte (centre of the front row) who stayed with the Rossetti and Jeavons families in 1978, and Kim Glaus-Late who stayed with the Ramsdale family while completing Form 5 in 1977. 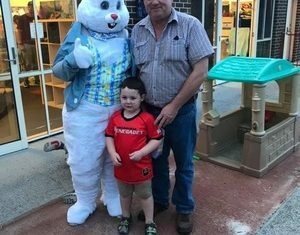 It will be the first return trip to Australia for both Mark and Kim, who have very fond memories of their time in Pakenham. The Class of 78 Reunion will take the form of a relaxed meet and greet over a two course spit roast lunch at the Pakenham Regional Tennis Centre. There will be a few surprises on the day and a slideshow presentation of over 200 photos from the ‘70s, as well as a special tribute to Gay O’Toole (second from the right, front row), the only member of the HSC group to have passed away, and who Liz described as “the heart and soul of the year level”. Tickets can only be purchased online at trybooking.com and will be available until Monday 22 October. Search for Class of 78 Reunion and the event page will come up with all the details. Bookings for the reunion close on Monday 22 October. Seventy tickets have been sold so far, including 14 to former teachers of the year level, but Liz is still hoping to see a few more familiar – or perhaps after 40 years, not quite so familiar – faces. If you would like any further details, please contact Liz on 0409 566 584.